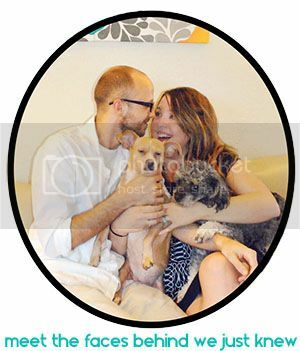 While our babe is itty bitty right now, we both know how quickly she will grow. Watching our nieces and nephews grow up proves how quickly it really will happen... Prime example: I swear our youngest niece was just born yesterday and she's already over 6 months old! With her on her way into town for a little visit, we've been thinking of ways that we can entertain her active little mind and also exercising our creative parenting brain. We actually had some delicious Gerber Lil' Beanies on hand from our other niece's recent visit and since those didn't last long with her munching on them during her visit, we had a nearly empty container. 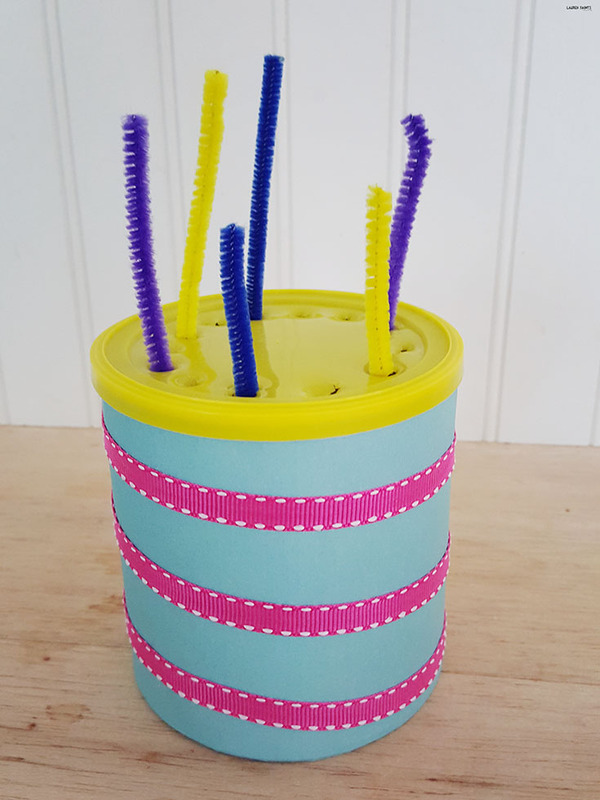 You know all creative toddlers (and parents) love an empty container so we started thinking and that led to crafting up a fun little activity for our littlest niece. 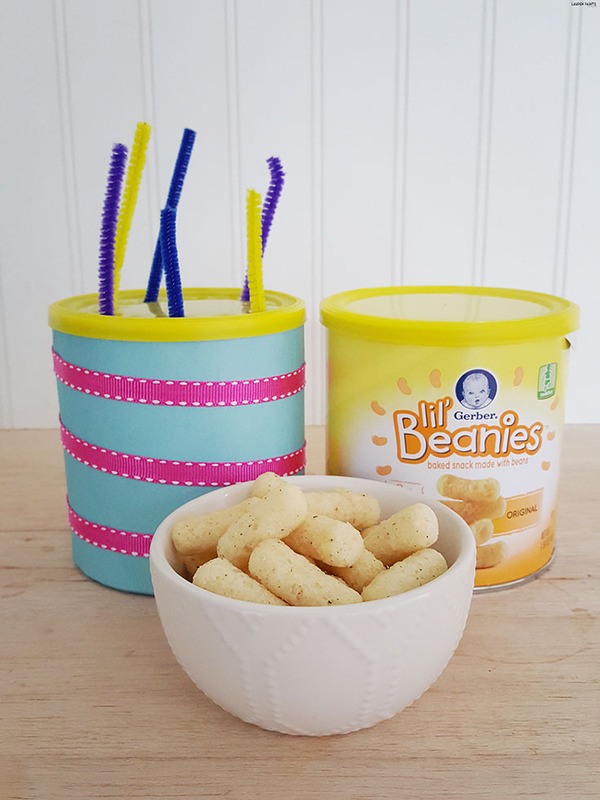 If you want to give your little one a snack, while also creating a fun activity to keep their brain engaged, this Gerber Lil' Beanies-inspired sensory play toy is the perfect mix of both. 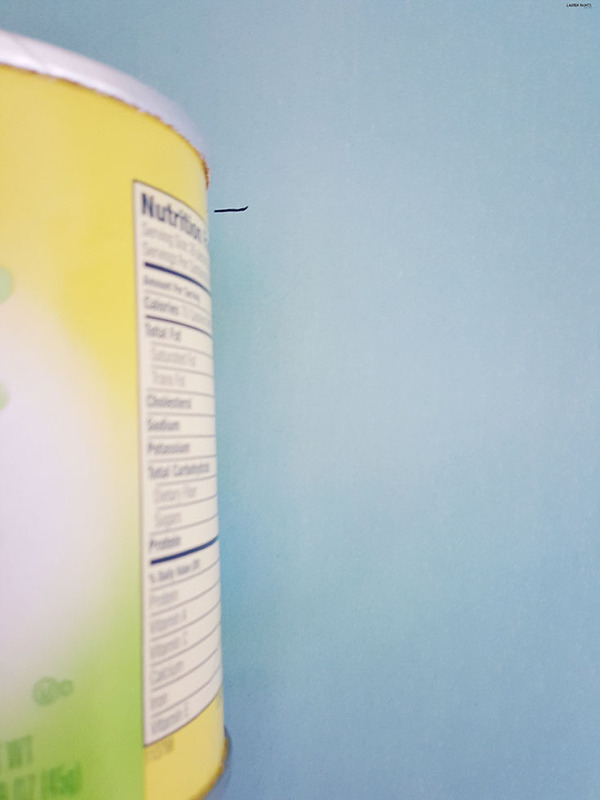 Once the paper is cut use tape or glue to adhere to the container and decorate until satisfied. 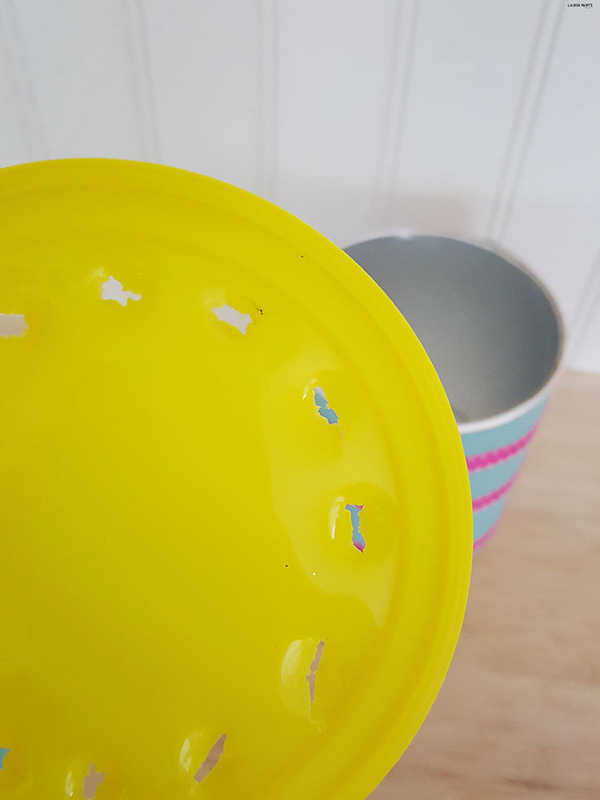 I suggest while the kiddos are decorating you use a pair of scissors on the plastic lid of the Beanies container to make small holes. Now cut the pipe cleaners in half and start poking them through the holes. Threading them, poking all the same colors on one side, etc. 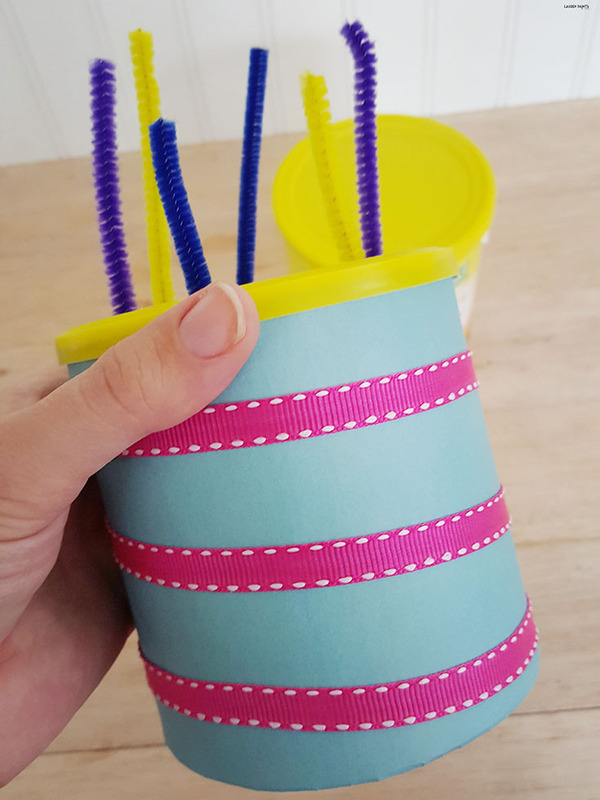 There's several different ways to make this little "toy" a little learning game for a toddler. So tell me, do you have any DIY sensory toys or little activities you like to do with your little one? With Delainey growing up quickly we'd love to have a stash of craft ideas to make with her so please leave me a little comment about your favorite in the comments below! 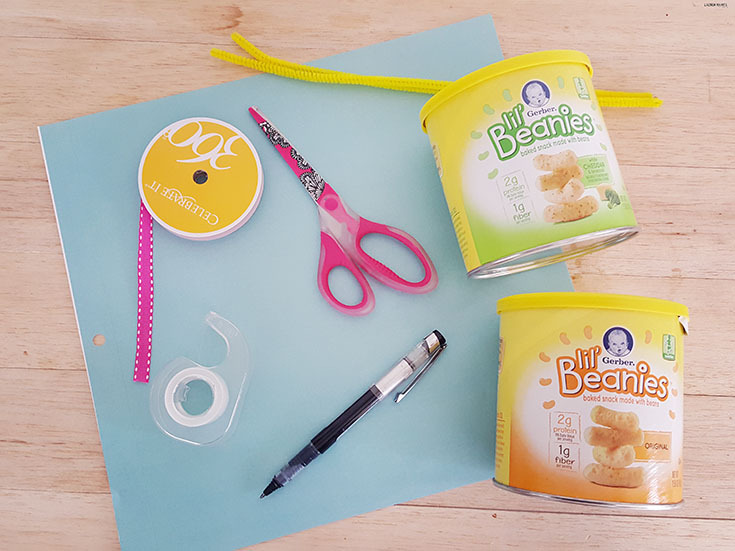 Also, don't miss your chance to save on Gerber Lil' Beanies - click here to redeem your Ibotta reward!